Memorial Day by the Numbers 2015! Memorial Day has come and gone for another year. Hopefully, we all took time to remember the fallen service men and women before cutting loose with BBQ, beer and shopping! So how did we spend our holiday this year? Let’s take a look at Memorial Day by the Numbers, 2015! 37 million: the number of Americans who hit the road this Memorial Day weekend – the highest in a decade. $2.66: average cost of a gallon of gas. $1 less than last year, and the lowest since 2010. 34% of shopper bought clothes. 22% bought housewares, and 21% bought shoes. So, how about you? What did you and your family get up to this Memorial Day? Let us know over at the MindField Online Facebook page, and enjoy your four-day workweek! Like it or not, you will probably spend some time this Memorial Day weekend in a big box store, or at the mall, or squinting at your computer screen while you look for bargains. There are many more details at the original piece, so check it out! US News also has another piece, “7 Memorial Day Sales You Won’t Want to Miss“, so check that out, too! Somewhere in this piece (okay, now) I feel obligated to say that Memorial Day is not about buying a new refrigerator. I mean, a refrigerator IS one of your best deals this weekend, don’t get me wrong! Just try to remember those who paid the ultimate price. Here is a good place to learn more about Memorial Day. What do YOU think? Are you heading out for some retail combat? Having a cookout? 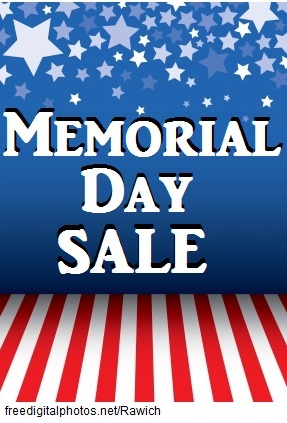 Let us know over at the MindField Online Facebook page, and have a great Memorial Day weekend! As usual, these are just the highlights. There is much more info at the original piece, as well as helpful links to deal sites and specific sales. So check it out! So, how about you? What are your Memorial Day weekend plans? Staying in? Grilling out? Shopping to you drop? Let us know over at the MindField Online Facebook page! 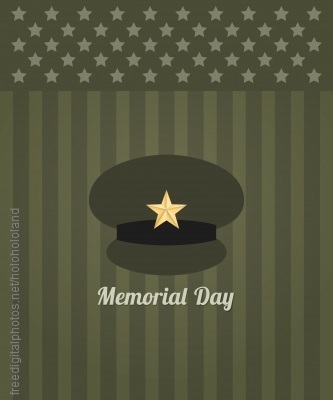 Memorial Day soapbox time – bear with me. I was all set to do one of those “(Holiday) by the Numbers” posts, where we talk about how much we will spend on travel and hot dogs and new lawn mowers this Memorial Day. But my Google search uncovered this instead: a website that accounts for EVERY serviceman killed in conflict since the Revolution. We (I) sometimes tend to forget that honoring these men and women is the entire point of the holiday, as opposed to having Monday off and drinking beer. MindField Online wishes to thank service members past and present and their families, and to honor those we have lost. As Americans, we don’t always agree on the value of this or that conflict, but you can’t deny the courage of those who put themselves in harm’s way. So, please take some time to visit MemorialDayFoundation.org. And have a safe and enjoyable Memorial Day weekend!! It Just Got All MEMORIAL Up in Here! Long Memorial Day weekend ahead and, boy, this underemployed blogger could use the break! 😉 Just for fun, I went poking around the web looking for Memorial Day topics. First, some history. Memorial Day began as a way to honor the Civil War dead. They think the first community wide observation was in 1866, but the first large-scale ceremony was at Arlington Cemetery in 1868. It expanded to honor the dead of all wars after World War 1. It became an official, take-Monday-off holiday in 1971. Did you know you are supposed to observe a moment of silence at 3pm local time on Monday? I had never heard that. …and more, so check ‘em out! Happy Memorial Day weekend, MindFielders! Have fun, be safe and, most importantly, HONOR those who sacrificed all! !